First of all, I love your site..tons of good info!! My question is about cake boards. I am making my first wedding cake for my daughter's wedding on the 15th of this month. She wants separate tiers which makes it so much easier for me. Everything I have read says to put the cake on a bigger board (8 inch cake on 10 inch board)which I understand so you have room for decorating around the cake at the bottom, but the board still shows after decorating and we have really nice stands to put them on and didn't want the boards to show at all when it is done. 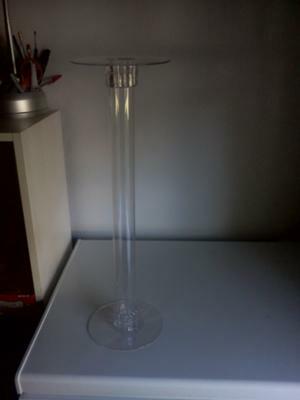 I can't put them on the plates and then decorate because there is a place on the bottoms that sticks out to attach the plates to tubes and they won't sit level. Someone suggested setting the plates on top of the empty pans but I don't have enough pans and they don't fit in the boxes that way. She absolutely does not want the lace stuff around the bottom either...any suggestions? ANSWER Hi Brenda, Thank you :-) I always use the same size boards to put the cakes on so that it does not show. So if it is a 10 inch cake then use a 10 inch board. 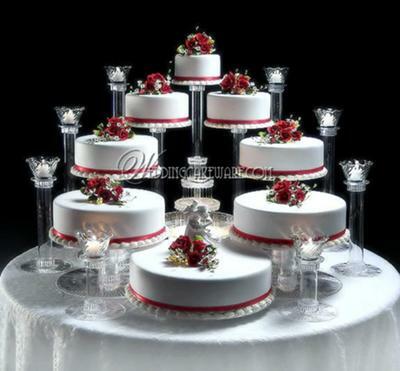 The tiered stand that you are using however should have plates that are at least 2 inches larger in diameter then the cake itself. will then do the final decorative border, which covers up any of the cardboard showing around the edge. I hope that helps. Good luck and please let us know how it went. UPDATE on October 13 2011 - Reference to the photos above. What I need to know is if I put a 10 inch one on a 10 inch board, and then set it on the plate to decorate, how do I transport it in the box without it wobbling back and forth on the nub that sticks out the bottom of the plate? ANSWER:Try fitting a thick piece of foam in each cake box that the cakes will be delivered in. That should keep them level. You can send a photo of the finished cake or do another write up about how it turns out. We would all love to see it. go to the photos and stories invitation. Comments for Cake Boards Question? 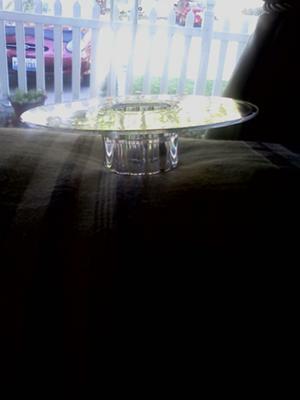 Hi Brenda, I have used similar plates , but they were by Wilton. 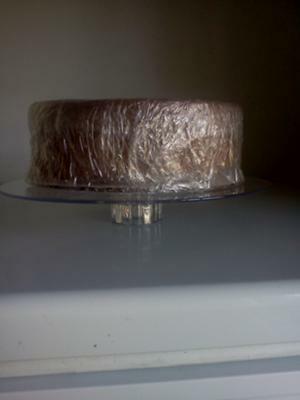 Can you use hot glue to place the cakes on the plates? Do you have time to send a photo of these plates without a cake on it?